Connecticut residents are on the move, according to a recent study conducted by United Van Lines. Results show that for the fourth consecutive year, Connecticut is among the top ten states for outbound moves. Out of the four areas tracked, one area bucked the trend and had more people moving in than out. The New London-Norwich area had a total of 245 shipments, 54.3% of those were folks moving into the area. 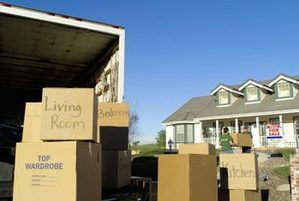 The area with the highest percentage of people moving out was the New Haven-Waterbury-Meriden area that had 282 shipments from a total of 385 in or out of that area. United Van Lines reports, “New Jersey (66.8 percent), Connecticut (62 percent) and New York (61.5 percent) were included among the top 10 outbound states for the fourth consecutive year. Since 1977, United Van Lines has annually tracked migration patterns on a state-by-state basis. “The 2018 study is based on household moves handled by United within the 48 contiguous states and Washington, D.C. and ranks states based off the inbound and outbound percentages of total moves in each state,” United Van Lines says. Learn more about United Van Lines 2018 study here.